Empathy isn't some squishy nice-to-have. It's a business imperative. When organizations demonstrate empathy — the ability to understand the feelings of others — they gain a competitive advantage that extends to their workforce. Empathetic employers are more likely to attract and retain employees, and their employees are willing to work harder. EMPATHETIC EMPLOYERS ENJOY A MEASURABLE ADVANTAGE. Employees will work harder for an organization they believe is empathetic. A tight job market, employees that are disengaged and stressed out, high turnover. Sound familiar? Empathy can help. 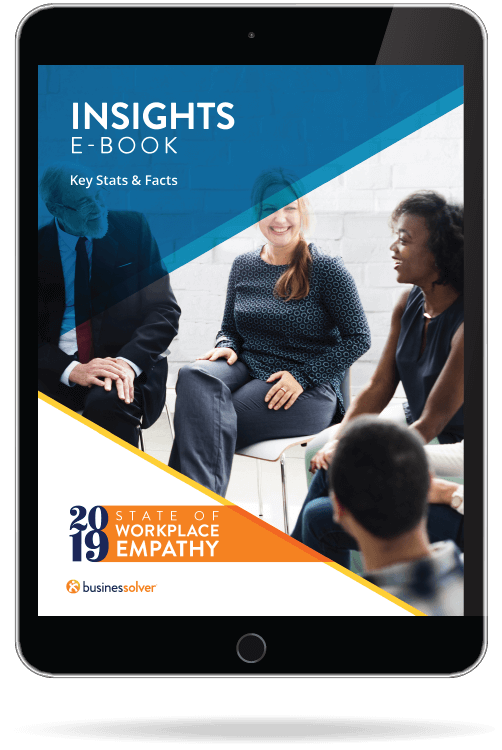 Get more details about what CEOs, HR pros and employees think makes organizations stand out in our empathy e-book.